Jeg's temperature was "extremely high." A DPS K-9 was left in a hot squad car for more than an hour Wednesday has been euthanized. Jeg, a 6-year-old Belgian Malinois, was rushed to a veterinary hospital and was doing well overnight but took a turn for the worse early this morning, Officer Carrick Cook, a DPS spokesman said earlier in the day. Jeg’s condition was described as touch-and-go earlier Thursday and he was put down at 2:35 p.m.
Jeg had signs of organ damage and had been seen by a specialist to determine what additional treatment might help. Jeg was left in a squad car by his handler who was switching vehicles at DPS headquarters, 6401 S. Tucson Blvd. The officer realized he left the dog in the first car while on his way to a crash and turned back around to retrieve him. 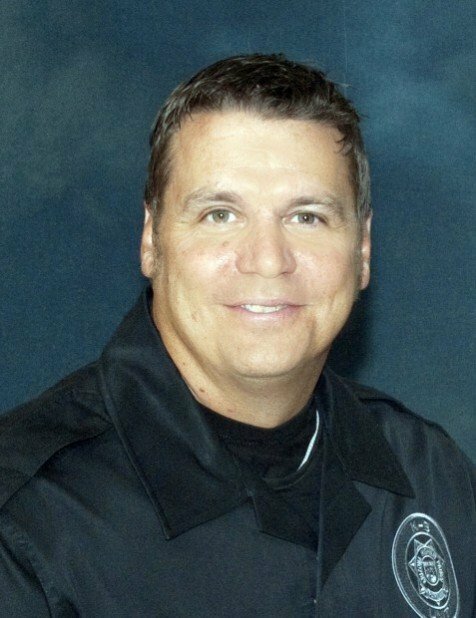 On Thursday afternoon, the state identified Officer Korey Lankow as Jeg’s handler. Lankow was with Jeg when Capt. Jenna Mitchell, the canine district commander, made the decision to euthanize. Lankow came to DPS in October 2005 following a 22-year career with the United States Air Force, the state DPS said in a news release. After his academy training, he was assigned to the Tucson Highway Patrol district for several years before being selected for the Border Crimes Unit. Lankow became a K-9 officer in 2009. He remains in paid administrative leave while the police conduct a criminal investigation and the state DPS does an internal review. Jeg was in the car for more than an hour before the officer returned about noon to get him out. The temperature at noon in Tucson Wednesday was 98 degrees. Lankow cooled down the police dog with water and ice, officials have said. When paramedics arrived, they continued the cooling process using ice packs and water. They also gave the dog oxygen and took him to the animal hospital. A state Department of Public Safety K-9 left in a patrol car for more than an hour Wednesday afternoon has been “touch-and-go” throughout the day, officials said. Jeg, a 6-year-old Belgian Malinois, was rushed to a veterinary hospital and was doing well overnight but took a turn for the worse early this morning, said Officer Carrick Cook, a DPS spokesman. “He’s gone from bad to good, to bad to good,” Cook said. Jeg has signs of organ damage and is being seen by a specialist to determine what additional treatment is necessary, Cook said. The officer’s name has not yet been released. The dog and officer have worked together for three years and are very close, Cook said. The officer even used his own money to install an air conditioning system in Jeg’s kennel, he said. Tucson police have opened a criminal investigation after a DPS K-9 was left in a hot squad car for more than an hour Wednesday. The drug-sniffing canine - a 6-year-old male Belgian Malinois named Jeg - was rushed to a veterinary hospital by Tucson Fire Department paramedics. "He is alive at this point," Officer Dave Hopkins, an Arizona Department of Public Safety spokesman, said Wednesday night. "Time will tell ... each and every day," Hopkins said. The dog was in stable condition, he said. "The first 36 hours is the most critical time. He is heavily sedated," another DPS spokesman, Officer Carrick R. Cook of Phoenix, said late Wednesday. Vets are doing everything they can for the dog, whose temperature was "extremely high" when he was found, he said. DPS officials would not release the name of the officer who left the dog in the car. Hopkins said they first want to notify other DPS officers, the dog's trainer and breeder about the incident. Cook said DPS officials spoke to their boss, Gov. Jan Brewer, before any information was released about the police dog's condition and the case. "The officer is very distraught," Cook said. "He's been with DPS for 6 1/2 years," and worked with Jeg for three years. The police dog was left unattended after his partner was switching from one patrol car to another at DPS headquarters, 6401 S. Tucson Blvd. The officer was immediately sent to a rollover crash on Interstate 19, but realized on the way that he had left Jeg in the first vehicle, Cook said. The dog was in the car for more than an hour before the officer returned about noon to get him out, Hopkins said. The temperature at noon in Tucson was 98 degrees. The officer cooled down the police dog with water and ice, Hopkins said. When paramedics arrived, they continued the cooling process using ice packs and water. They also gave the dog oxygen and took him to the animal hospital, said Capt. Barrett Baker, a Tucson Fire Department spokesman. He added that dogs pant to cool down - they do not sweat. DPS asked Tucson police to conduct the criminal investigation, Cook said. "We are in the early stages of the criminal investigation, and it is too early to tell what charges, if any, are appropriate," said Sgt. Maria Hawke, a Tucson Police Department spokeswoman. "It all depends what the investigation reveals." In 2007, a Chandler police officer was charged with misdemeanor animal abuse after leaving his police dog in a patrol vehicle for nearly 13 hours in August, according to news reports. 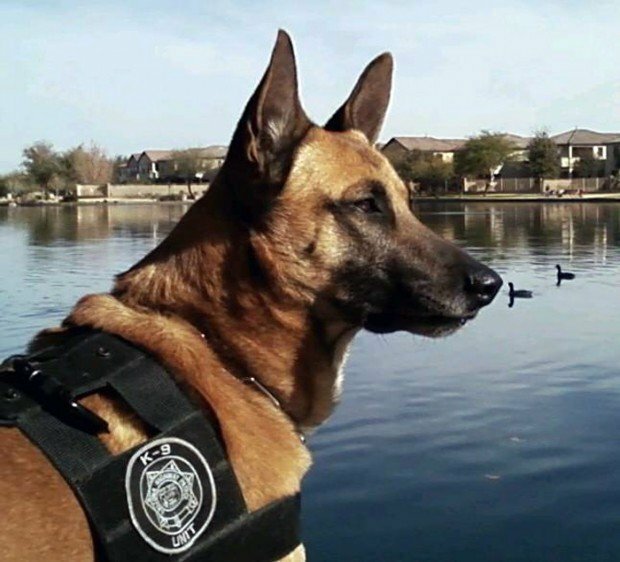 The dog, Bandit, a Belgian Malinois, died of excessive heat. The Chandler officer was acquitted of the charge but was found in an internal departmental investigation to have acted negligently but not recklessly, according to news reports. The investigation also found that the officer showed conduct unbecoming an officer. He was suspended for two days without pay and was taken off the K-9 unit. Hopkins said DPS will conduct an internal investigation to see whether the DPS officer followed departmental rules and procedures. He said the officer had not been placed on administrative leave. The department expects to release more information today, Hopkins said.